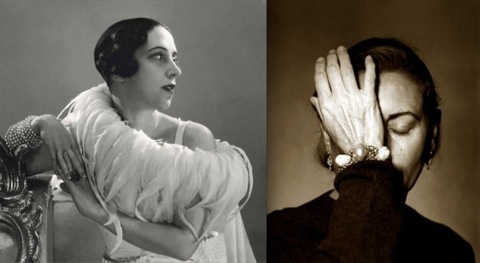 Elsa Schiaparelli by George Hoyningen-Huene (1932); Miuccia Prada by Guido Harari. This month the Metropolitan Museum of Art, New York, announced that the Spring 2012 Costume Institute exhibition will focus on Elsa Schiaparelli and Miuccia Prada. The show, entitled Elsa Schiaparelli and Miuccia Prada: On Fashion, will run from May 10 to August 19, 2012. (Read the press release here.) The twin focus on these two intellectual designers should make for a very stimulating exhibit. If you can’t wait for your Schiaparelli fix, the designer’s work will soon be on view in Madonna’s film “W.E.”, whose parallel narratives tell the stories of Wallis Simpson (Andrea Riseborough) and a wealthy New Yorker (Abbie Cornish) who becomes fascinated with the late Duchess of Windsor after seeing her luxurious couture wardrobe and jewels at Sotheby’s. Andrea Riseborough as Wallis Simpson and James D’Arcy as King Edward VIII, Vanity Fair, September 2011. Photo: Tom Munro via vanityfair.com. Andrea Riseborough and Madonna on the set of “W.E.” W magazine, November 2011. Photo: Arianne Phillips. 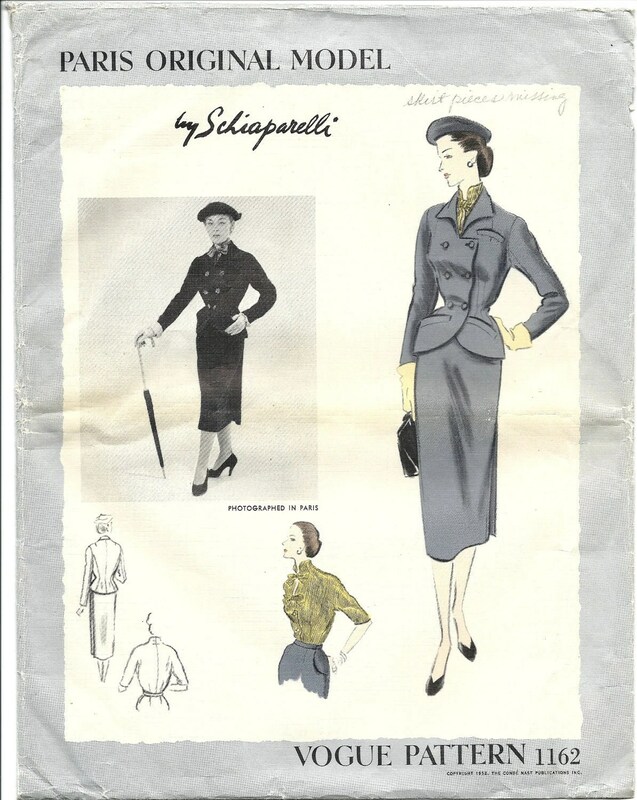 Vogue 1162 by Schiaparelli (1951) Suit and blouse. Image via Etsy. (An incomplete copy is available on Etsy.) Too bad Vogue Patterns can’t re-release their designer patterns! “W.E.” opens in North American theatres on December 9th. Update: W has added this story to their website; see it here. I was not going to see W.E. but I may have to go now, in the name of fashion interest (not sure that is going to go down well with my husband) – these garnments are beautiful! I hear they’re the best thing about the movie (!) Luckily my wife and I will both watch something purely for the costumes..